I was lucky enough to have the opportunity to live in Japan a few years ago for an on-air job. Yes, it was absolutely awesome and I loved every minute of it. While there, I realized how popular saunas are in Japan— and I quickly learned why and I fell in love with them! 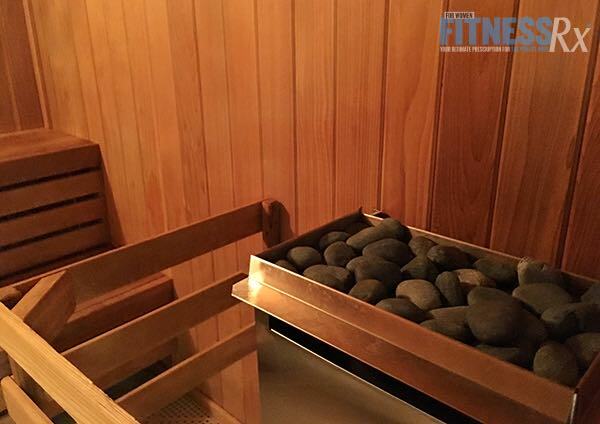 Even if you sweat on daily basis, the deep sweating induced by a sauna helps your body flush even more toxins. You come into contact with thousands of toxins from the air, your water, food and anything you put on your skin daily. Your liver and kidneys can get a little overwhelmed, so the sauna can help make this process much easier and more efficient. The high heat releases endorphins that help to relieve stress, aches, pains and tension in muscles and tendons. The heat increases your body’s blood flow and circulation, which helps with recovery and your body’s healing process, which is why they are great to use after you work out. The deep sweating helps to rid your skin of bacteria and dead skin cells, so new ones can grow, making your skin appear younger, plumper and more refreshed! They help to keep your immune system strong by producing more white blood cells, which helps fight off viruses. Also they will help relieve any symptoms of congestion or discomfort if you have a cold. • Try staying in the sauna for 15-30 minutes; longer if you’re able. • In the sauna, sip on water to keep things flushing and to stay hydrated. • Tap and lightly scrape your exposed skin to get your pores to open up and start sweating. • Once you’re done, if you’re able try to, rinse off in a cold shower. This will help close your pores back up and return the blood to your organs, so they can go back to “work”! If you have any more questions, please ask me!